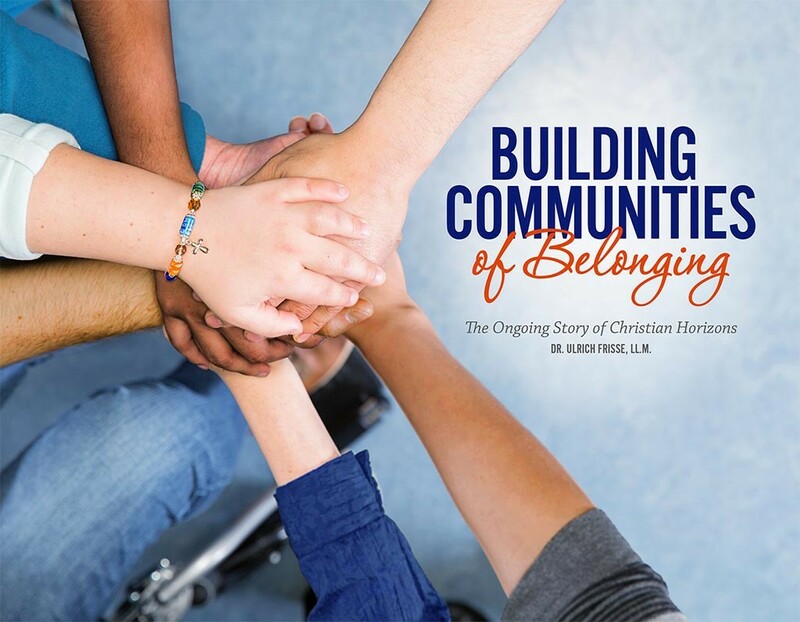 A legacy, anniversary and community engagement book and calendar that beautifully capture the story of faith-based social service, commitment to people with exceptional needs and their families and communities around the world that is Christian Horizons. 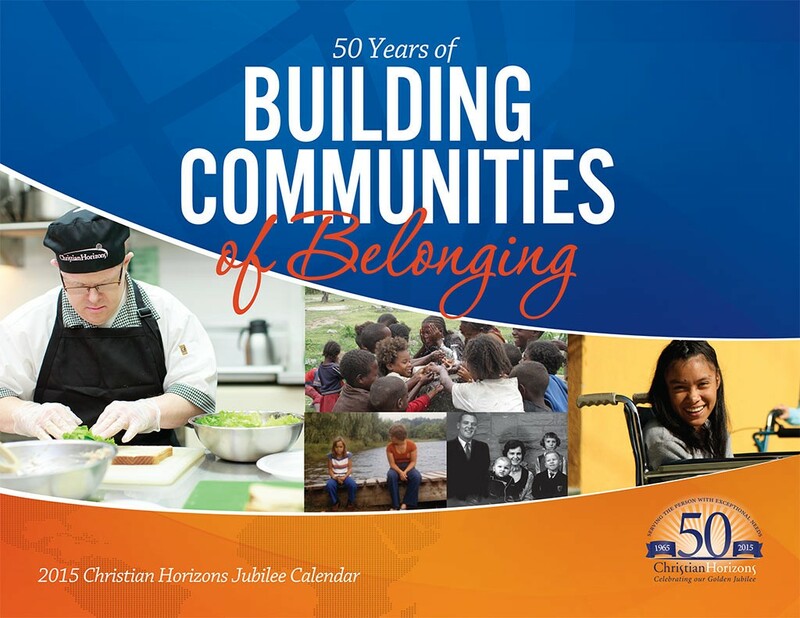 The book celebrates the first fifty years of Christian Horizons which ministers to thousands of persons with exceptional needs in Canada and around the world. We have been truly impressed with Dr. Frisse and the HBS team’s thorough research of the Christian Horizons story. And having read the book, we are extremely satisfied with how he crafted the story in such accessible language. We can heartily commend Dr. Frisse and Historical Branding Solutions to those who desire to have a faithful record of their history warmly preserved. A story of great inspiration, Christian Horizons evolved out of the life journey of the Reese family. At its very core, the founding story of Christian Horizons is the story of Jim and Adrienne Reese answering the call to create a distinctively Christian ministry dedicated to children with exceptional needs. From its beginnings in 1965, Christian Horizons has evolved into a non-profit, charitable organization with more than 3,500 employees and hundreds of volunteers, serving nearly 2,000 people with exceptional needs and their families in Ontario and having made a positive impact in the lives of over 300,000 people affecting over 60 communities globally. When the leadership team commissioned us to capture the story of Christian Horizons comprehensively, it was led by the objective to use the 50th anniversary of the ministry to honour the legacy of the founders, to engage employees, volunteers and the community, to reinforce the organization’s distinct values and to position Christian Horizons for the future. 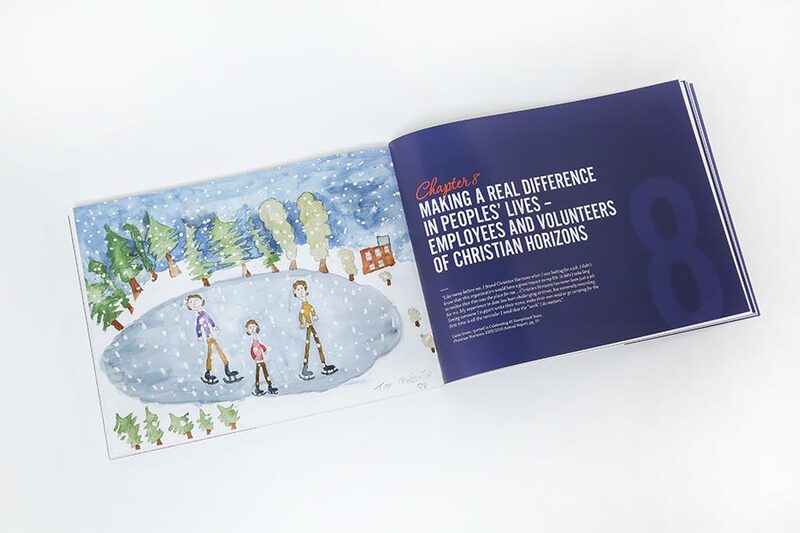 CEO Janet Nolan and her team were looking for both a high impact engagement tool in the form of a calendar and an authoritative account of the story of Christian Horizons in the form of a book that would serve the organization for many years to come. The story of Christian Horizons is deeply embedded in complex contexts that are reflected in foundational changes in perceptions, attitudes and approaches to assisting people with exceptional needs. 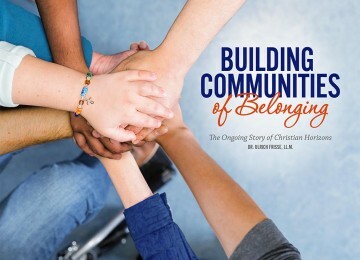 Building Communities of Belonging tells the inspiring story of Christian Horizons in the distinct voice of the organization and in the broader contexts of the rise of the community living movement, the closing of institutions, and shifts in international development to capacity-building and sustainable partnership models with local communities in need. 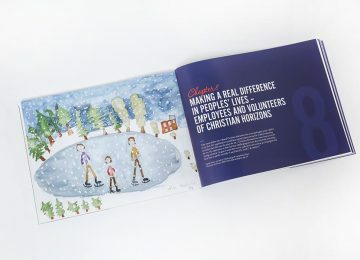 Distribution of a celebratory anniversary calendar to every Christian Horizons employee for Christmas marked the prelaunch of the anniversary year, followed by the launch of the authoritative book several months later. Intended to be a practical resource, the calendar pages highlight key dates of events during the anniversary year. Embracing the idea of Christian Horizons as a capacity builder, we directed a photoshoot with members of the Christian Horizons community for the book cover, as well as incorporating works by Christian Horizons artists into the book. Quotes and testimonials by members of the Christian Horizons community scattered throughout the book further deepen the perspective of people supported. The publication’s deliberate timeless design allows Christian Horizons to use it for engaging employees, churches, members, partner organizations, donors, and the community for many years to come.